MariaDB Corp. continued its buying spree this week with the acquisition of distributed database pioneer Clustrix, adding what the buyer said is a scale-out capability running on commodity hardware or in the cloud. Terms of the acquisition were not disclosed. MariaDB also announced new venture funding. The acquisition also gives MariaDB, Menlo Park, Calif., a scalable open source database that could challenge market leaders Oracle (NYSE: ORCL) and Amazon Web Services (NASDAQ: AMZN). It also sharpens the database vendor’s focus on distributed computing and machine learning along with in-memory processing and storage advances aimed at reducing data movement. The deal is primarily targeted at database leader Oracle. “Today, the choices for a scale-out database option are limited—go with a traditional solution like Oracle with high cost and bloat or choose a NoSQL solution that has limited capabilities for data integrity,” said MariaDB CEO Michael Howard. In March, MariaDB strengthened its AX analytics and data warehousing platform with the acquisition of MammouthDB, strengthening those capabilities while extending its database service strategy. Separately, MariaDB announced that ServiceNow Ventures is joining its Series C funding round. The partners said MariaDB systems are used on ServiceNow’s cloud infrastructure. Those platforms run on about 85,000 MariaDB databases. The cloud management and enterprise application services specialist is based in Santa Clara, Calif.
MariaDB raised $54 million last year in an initial Series C funding round led by Chinese e-commerce giant Alibaba (NYSE: BABA) and Intel Corp. (NASDAQ: INTC). The online retailer and the chip maker are collaborating on a range of cloud initiatives, including a cloud-based FPGA initiative announced last year. 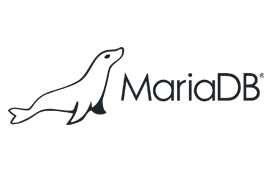 So far, MariaDB has raised $98 million in venture funding.